How can we transform the European energy system while improving security of supply and competitiveness? In a webinar hosted by Energy Post and sponsored by EDF, four energy experts discuss the future of the European energy system and answer questions from listeners. Michel Matheu, head of EU Strategy in the European Affairs Division of EDF. 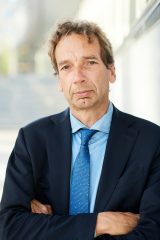 Pieter van Aartsen, manager European and Government Affairs at the Dutch gas infrastructure company and TSO Gasunie and chairman of the strategy committee of the European gas infrastructure organisation GIE. Simon Hill, Vice-President Europe and the Middle East at the US energy information specialist Opower. Bert den Ouden, Managing Director of Dutch consultancy Berenschot Energy and Sustainability, and former CEO fo energy exchange APX Endex. To watch the full webcast, click below.